The Class B state meet will take place at Bates College on Saturday starting at noon. Athletes from across the state will be looking to perform at the highest level as they chase individual and team glory. Brewer who is competing in Class B for the first time enters as the team favorite, they are expected to be challenged by the likes of Greely, York, John Bapst & Hermon. Yarmouth standout Luke Laverdiere is only running the 2 mile so that means he'll be chasing the state meet record of Olympian Bruce Bickford. 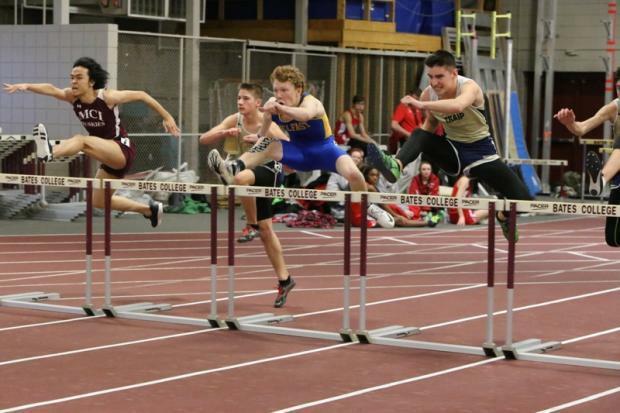 Check out out top 5 boys' events to watch below. Just .01 separates the top two seeds Zachary Beaton (Hermon) & Jon Burke (York) entering the state meet. Beaton enters with a top time of 7.99, the only time in the field under 8 seconds. Last week he won the EMITL title in a time of 8 seconds flat. Burke has a best time of 8 seconds on the season, but last week was beat out for the WMC title by his teammate Zach Westman the third seed. Don't count of Max Spaulding of Winslow who ran a personal best 8.36 to win the KVAC Class B title last week.